I have spent years studying fitness, and it became clear to me in my own efforts to burn over 50 lbs of fat that all weight loss supplements are a complete waste of time and money. 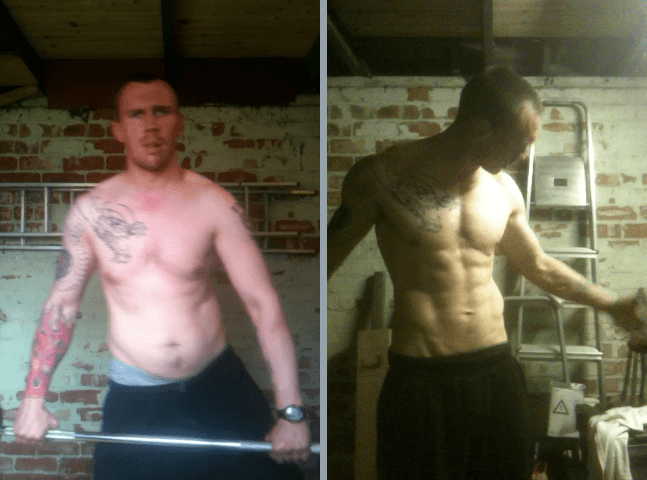 I started out skinny, and desperately wanted to build muscle to improve my self confidence. But, in an effort to do so, I was unexpectedly left with over 50 lbs of unwanted body fat that I had to try and burn as quickly as possible. I thought being skinny was bad for my confidence, but being overweight left me with a whole new set of problems. My stomach was hanging over top of my belt buckle, and my face had doubled in size, which had an extremely negative impact on the way I felt about myself. I had to find a solution to burn away all of the excess fat I had gained, and fast, because I wanted to reverse my very low self esteem. Those who have no desire to build muscle should not turn away from what I am about to explain, because even if you hate bodybuilding and have no interest in large muscles, everyone wants to be toned, and this requires having muscle. Starvation, which is the obvious choice for most who wish to lose weight, is not only devastating to energy levels and mood, but burns away muscle, making the body frail and lifeless. Do you want a frail and lifeless body? No, and neither did I. But finding a weight loss method that is actually realistic and effective was the trick, and I had yet to find the magic wand. I wanted to burn over 50 lbs of fat. My confidence was in the toilet, and I wanted to find an effective way to lose weight. I did not want to burn away muscle. I knew that if I went on a starvation diet plan, my body would burn as much or more muscle as compared with fat, and it would leave me looking worse than before I started. A flat, dull body looks sickly, and I did not want that to happen. Using weight loss supplements appeared to be the answer. Everywhere I turned, fat burners were advertised as being the key to developing a lean, athletic body. Because I could not find an effective fat burning diet or exercise plan, I decided to try the supplement path and see where it would take me. Everything I read was pushing supplements as the answer to achieving a nice looking body. Despite having already built massive muscles without ever having yet touched a supplement, being human, I figured why not try using supplements to burn away this huge amount of fat that was making me very uncomfortable. If everyone seems to believe that supplements are the key to fat loss, then there must be some truth to the idea. I purchased more supplements than I can possibly remember, and my results were simply amazing. 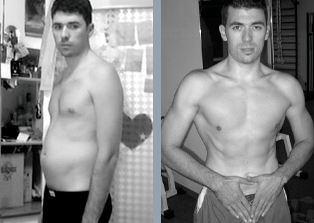 Contrary to the promises I read from so-called fitness experts, while using supplements, nothing changed. My body fat was identical to before I started using supplements, and after spending so much of my hard-earned money, I was left without anything new to show, other than an empty wallet. How Could I Have Lost ZERO Fat While Using Supplements That PROMISED Results? This was outrageous to me, and felt like legalized theft. But, what's worse is that many of the sources I used to learn about supplements, such as popular fitness magazines, were actually colluding with supplement companies, since the vast majority of their pages are filled with supplement advertising, paid for by supplement companies. Even worse, some magazines are even owned by supplement retailers! Just pick one up, scan through the pages, and this will become obvious, although at the time, I had no idea this was the case. I came to learn that most fitness web sites and magazines are merely propaganda vehicles used to advertise supplements! They pose as "objective reviewers" of certain fitness supplement products, when in fact, they profit off every supplement that they endorse. 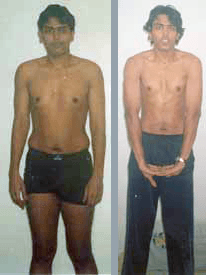 My experimentation with supplements produced no fat loss. Disgusted with my failed supplement experiment, it was time to learn how to eat. So, I figured that since experimentation led me to the correct muscle building path, I now needed to put that same effort into my diet so I could find a way to lose fat without burning away muscle and becoming a living skeleton. This is exactly what I did, and the results were nothing less than extraordinary! 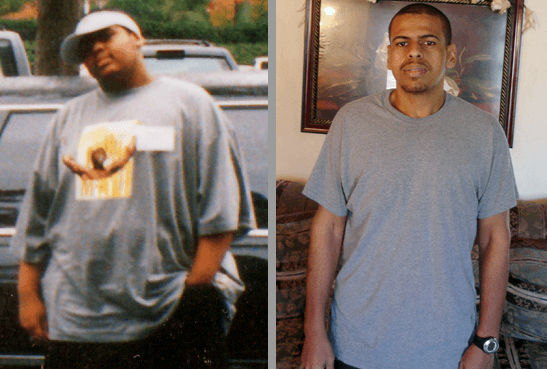 I ended up burning 55 lbs of fat, using no supplements or drugs whatsoever. My family, friends, and strangers alike were amazed. ​I had completely transformed how I looked, and the compliments I received were endless, and very refreshing. 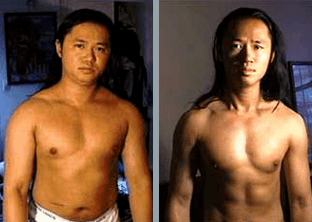 People who had not seen me in some time were shocked at how much better I looked, and the stunned look on their faces made the years of experimentation to find an effective fat burning and muscle building method more than worthwhile. I was just worried about achieving my weight loss goal, and didn't realize at the time that supplements could also harm my health and well being. Thankfully, they didn't, but given that I did not burn fat or build muscle while using them, they didn't do much of anything for me, except waste lots of my money and time. Yet, if I​ had accomplished what I was seeking and found a supplement that actually shed fat faster than was possible naturally, there likely would be health related side effects, no different than a drug, and that only crossed my mind after my failed supplement experiment. 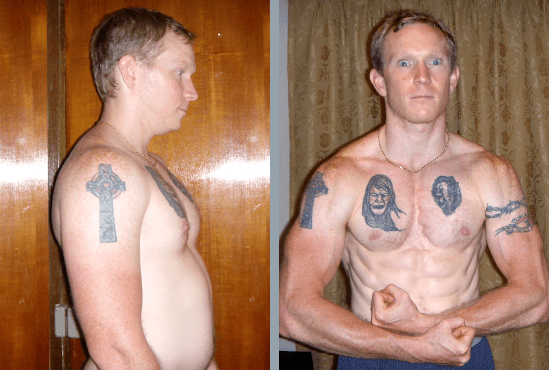 It is now obvious to me that seeking a pill or powder to increase the rate of fat loss is a losing proposition, as I either find one that doesn't work (likely), or one that could destroy my life. Neither sounds like a good option to me. I achieved my weight loss & muscle building goals. After building over 65 lbs of muscle and burning more than 50 lbs of fat, I was finally extremely happy with my body, and my self esteem issues disappeared. I learned that supplements are a waste of money. They didn't help me burn any fat whatsoever or add muscle, but they did make lots of money disappear from my bank and gave me false hope. If I only knew exactly how to eat & exercise from the very beginning. Many years, injuries, in addition to plenty of frustration and lots of body fat could have been avoided if I knew the correct fitness plan to follow from the start. I came to learn that how I eat is far more critical than my exercise plan in burning fat. I wasted so much time carrying 55 lbs of extra fat on my body that could have been avoided had I focused on my diet from the very beginning. You truly are what you eat, but with so much misinformation, I really had no idea how to construct an effective fat burning diet until much trial-and-error on myself. Everywhere I read, so-called fitness experts preached that exercise is the key to losing weight, but I was exercising plenty, and my body fat levels stayed the same! Not until I radically modified my eating strategy did fat begin melting off of my body at a rapid pace, every single week. What I learned throughout my long experimentation is that exercise enhances a properly designed eating strategy, increasing the speed of results, but it has no effect without a potent diet plan. I performed more exercise than most, yet still carried around a 43" waist and over 50 lbs of excess weight because of my eating habits. In fact, until my eating plan radically changed, I gained fat despite exercising 5 days per week, so it is a complete waste of time to seek out the perfect exercise program when it will have no effect in the presence of a flawed diet routine. Those who feel as if weight loss is impossible due to limited time and motivation for exercise will be thrilled to learn that you can burn fat & lose weight without any exercise! That old cliché "you are what you eat" is really true, and was preventing me from achieving my weight loss goals. 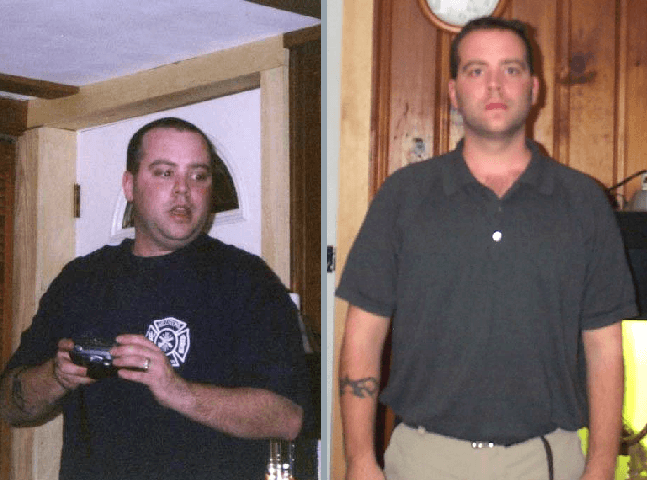 Once I discovered the proper diet to follow, fat melted off my body like butter in the midst of a heat wave, and this fact should give true hope to anyone who needs to lose weight, regardless of work or personal schedule. You can transform your body, burning excess fat every single week, if you begin to eat the right way, even without exercise! I also learned why starvation diet plans destroy any chance of achieving permanent weight loss. Starvation diet plans condition the body to expect a very low quantity of food. In response, the body's natural survival mechanism slows metabolism (the rate at which calories are burned) in order to keep you alive in case of a famine. Your body cannot tell the difference between a foolish fad diet and being stranded on a deserted island, so it assumes you are trying to survive. The result? Greatly reduced energy levels, as the body is trying to force you to move and think less so that the fat you have on your body will last longer (remember, it assumes you are in survival mode and wants to prolong the time your stored energy - fat - will last). Yes, you read that right, the body actually wants to preserve fat! If you were actually stranded and in need of survival, you would be extremely thankful, but in reality, you're not, and are rather desperately seeking to burn, not store fat, so this is horrific! The body not only makes every effort to preserve fat by reducing energy levels, but also ​initiates enzymes that store food you do consume as fat when it exceeds your immediate energy needs, because once again, it is trying to prolong your life. So, you actually lose weight slower on a starvation diet plan because the body is trying to preserve fat! But, if this is not bad enough, there is more. Any fat that is lost during starvation dieting quickly returns upon consuming a normal amount of food, because those enzymes I mentioned earlier are more active than ever due to the starvation diet, primed to store that extra food as fat the moment it arrives.​ Do you know what I have just described? The dreaded yo-yo syndrome, where weight is lost, and gained back again. I reached my weight loss & fat burning goal in 1995, after trying a multitude of supplements that falsely claimed to offer incredible results. Because I learned so much through my long experimentation period, I decided it was time to help others achieve the same type of results. Since another passion of mine was writing, I felt that I could produce a program that teaches what I learned about weight loss and muscle growth, so that anyone could achieve progress like mine, in a fraction of the time it took me, without any supplements or drugs. 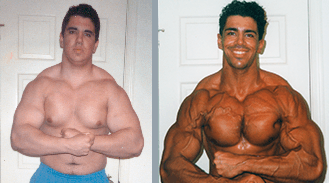 When I released my Fat Vanish & MuscleNOW programs in 1997, I did not want to just provide a book that teaches what I learned, as I knew that those purchasing would inevitably have questions or need customization of my program for their specific situation. 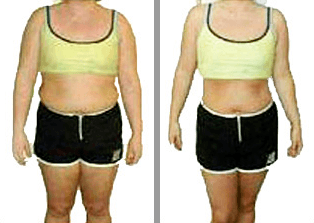 I wanted everyone to feel as if I am right along side them, ready to guide every step of their journey, therefore, I added the Lifetime Email Personal Training benefit, which allows everyone who signs up for Fat Vanish or MuscleNOW access to me, the author, as their lifetime email personal trainer, and, as the name implies, this benefit never expires. Avoid supplements, since they don't work as advertised and are a total waste of money. Stop following fad diet plans that make you miserable and provide no lasting weight loss results. A realistic, powerful, proven potent weight loss plan was created in 1997 that forever ends the battle against fat. "My transformation has been amazing. I'm getting many compliments from everybody." I know how frustrating it can be to carry excess body fat and not know how to burn it off, as not only was my confidence suffering, but so was my health. The time I spent experimenting with fat burning supplements was a total waste of time and money, but the one saving grace was that it forced me to find a real fat burning solution that actually works, which helped me burn off 55 lbs of fat, and inspired me to write the Fat Vanish program. 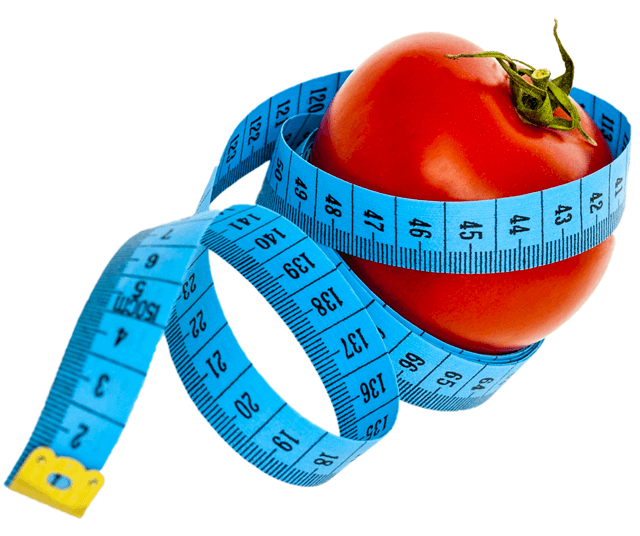 Weekly weight loss: I teach you everything about diet and exercise for natural weight loss. You will no longer be left seeking answers, and can enjoy weekly fat burning results. If you are not burning fat every week, then you are on the wrong plan. Dump your supplements in the trash: finally, put an end to wasted time and money on pills and powders that don't work. Fat Vanish is all you will ever need to lose weight & burn fat naturally. No more low self esteem: end the feeling of inferiority that plagues so many who are overweight. I lost 55 lbs of fat, and the compliments I receive send my confidence through the roof. "My body fat level kept dropping." I began working out weighing a rail thin 130 lbs at a height of 6'2", bullied in school and very unconfident with my appearance. My before picture shown here was taken after having gained 55 lbs of fat, in a failed effort to become a bodybuilder. After a lengthy period of experimenting with various workout and diet theories, as well as worthless supplements which proved to be a waste of time and money, I put together the natural body transformation puzzle, producing 65 lbs of muscle mass and burning 55 lbs of fat, shocking friends and strangers alike. 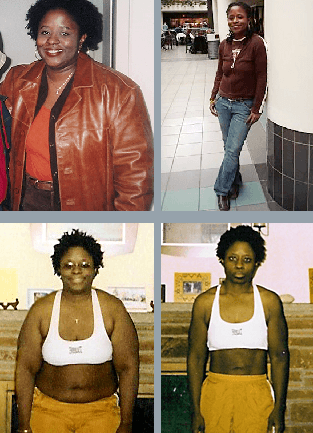 Since 1997, I have taught thousands of people around the world exactly how to follow in my footsteps and achieve their natural weight loss, fat burning and muscle building objectives. I now want to do the same for you. I decided to concentrate on fat loss, and within three months, I had great results and slimmed down to a size that was adequate for me. Thanks to MuscleNOW, I was able to achieve my long-term goal earlier this year of reaching my first year college body fat measurement of 13% (I was at 20% when I started)! I am now able to fit into size 32 jeans! This is something I haven’t been able to do since I was in junior high! 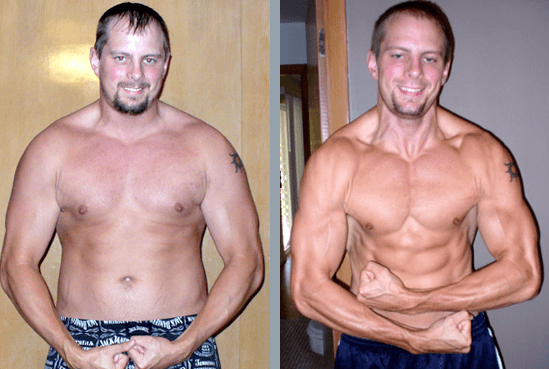 ​The program works, plain and simple, and best of all no supplements are required. Just real food, time and equipment are all you need. The best part of the program for me is that Francesco gives free lifetime personal training via email. You wont get that from a book you buy at a bookstore and even most online. I have probably emailed Francesco more than he would like and never once did I ever receive any rude emails or bad service. All emails were answered within very reasonable amounts of time. BURNS 232 LBS & 24” OF BELLY FAT! My before and after body measurements: starting weight was 412 lbs, and I now weigh 180 lbs. 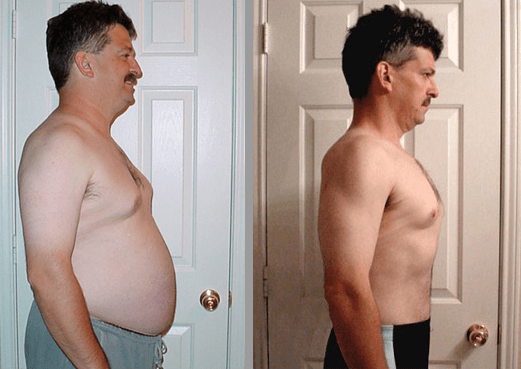 My stomach started at 59”, and it is now 35”, and my shirt size was 5-6 XL, and is now Large.​ I was able to lose 232 LBS in only 17 months with the Fat Vanish & MuscleNOW program. I feel so much better and happier, I have been able to do things that I would have never imagine myself being able to do. I have been fat since I was a kid and I was never able to do some of the things such as push ups, pull ups or even run for a long time. ​Sticking to the Fat Vanish recommendations has been easy because I am eating foods that taste great and are very healthy. Having Francesco Castano to answer all of the questions that I had was priceless. I have had the program over 5 years and he still answers my questions, now that’s what I call an amazing trainer. Francesco's program has done wonders for my life. It has turned me from a fat lazy alcoholic into a physically fit, confident go-getter! Just six months ago I started the program and I've noticed a world of difference not only to my physical health, but more importantly to my mental well-being. The program has also convinced me to stop smoking cigarettes to make my running easier. I could go on and on about the side-benefits which surfaced that were completely unknown to me at the time, but for now I'd just like to give my sincere thanks to Francesco and his program for all the wonderful things it has done for me. THANK YOU SO MUCH! 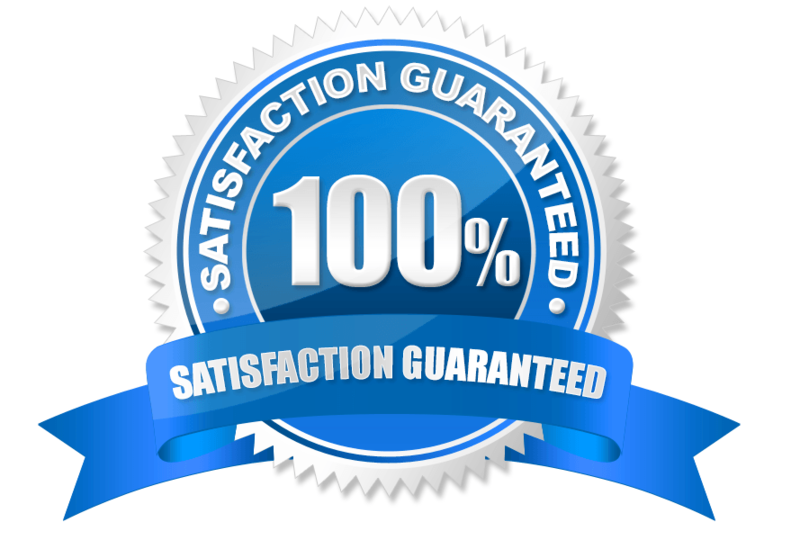 You are fully protected by my risk-free 90 day 100% Satisfaction-Guarantee. If you don't burn fat faster than you ever thought possible, simply return the program within 90 days and receive a full refund, no questions asked! Fat Vanish Works Amazingly Well For Women Too! There is no gender bias with Fat Vanish, as the methods I teach work equally well for women and men. 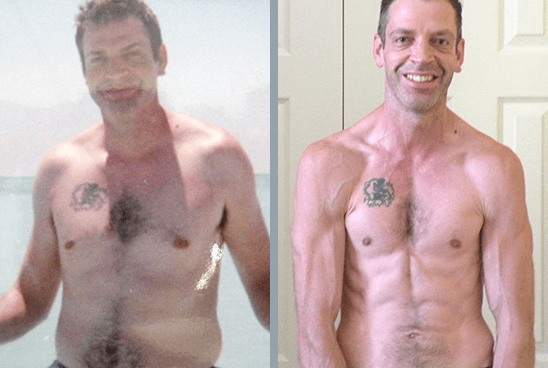 When you give your body exactly what my program teaches, there is no choice but for fat to disappear every single week, and it does not matter your age, gender or martial status, as everybody burns fat with the same plan - it simply WORKS! LOSES 38 LBS & 8 DRESS SIZES! 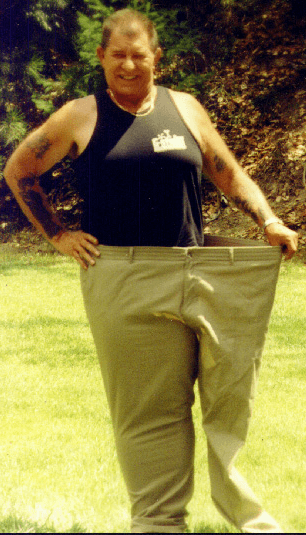 ​I lost 45 lbs, the most I have EVER lost with any weight loss program. I just wanted to give you a quick update on my progress with your Fat Vanish program. 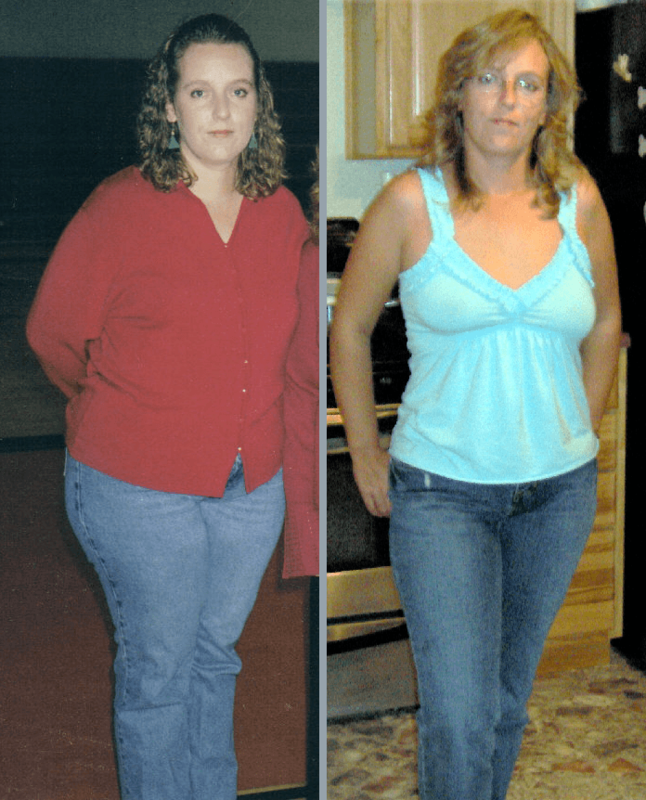 I lost a total of 45 pounds while following the plan - the most I have EVER lost with any weight loss program. I can't tell you how happy I am with the progress I have made with my life change and I can't thank you enough for sharing your knowledge. I am forever grateful. I would love to see more people get involved with Fat Vanish. This is coming from someone who had to exercise vigorously for at least 60 minutes to lose even 2 pounds in one month. I am so incredibly happy with the success I have had with your plan. I truly can not thank you enough, and and God Bless you. I lost 23 lbs, and am never hungry. "We appreciate the great advice THAT WORKED!" I lost 30 lbs & & 11.5" of belly fat. Now a size 0-2! Hi Francesco! Thank you for all of your help with the program. I am on week 19 and have had incredible results! I'm mentally doing great and look excellent too! I greatly appreciate all of your efforts. My abs are showing (I've dropped 30 pounds and 11.5 inches off of my waist) and I wear a size 0-2 at about 118 pounds. FYI, you should also know, since you've probably dealt with this before and this info could help you with other people - I was diagnosed with Graves disease in March and was not permitted to work out at all. They released me to work out in January of the next year and I started your program when my thyroid was still DYING after radioactive iodine treatment (which I received twice) They were still regulating my synthroid until March of that year! So now we know, even with a dying thyroid, with enough determination and an excellent trainer such as yourself, the sky's the limit! Thanks again. For those who just want to lose weight and burn fat, with no interest in even building a small amount of muscle, you need not worry, as Fat Vanish is for you. 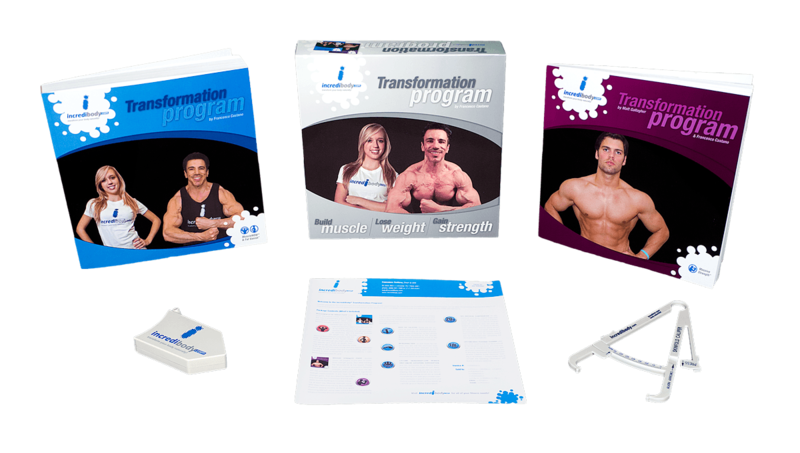 I created this comprehensive program because of the frustration I personally experienced when trying to completely transform my own body, and I can save you the wasted time and money by teaching the right way to eat and exercise. No muscle building is required, as you can follow Fat Vanish without my MuscleNOW methods and produce all of your weight loss and fat burning goals, without weight training or muscle growth. 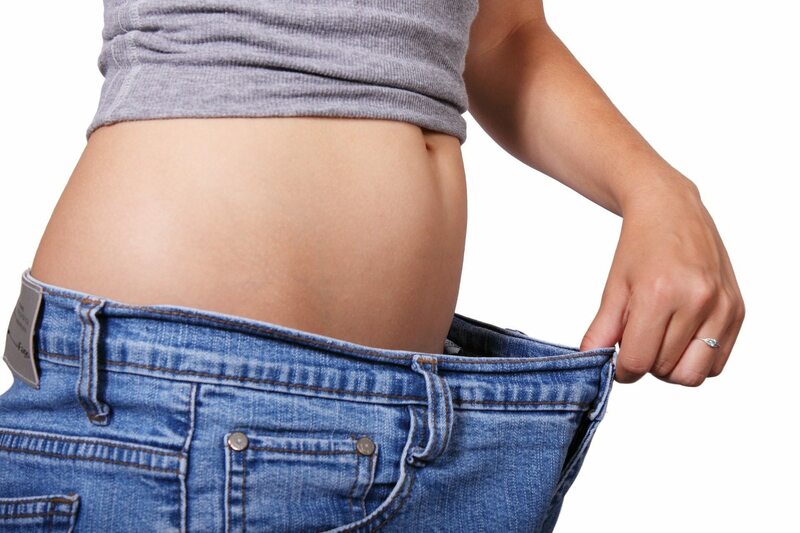 Fat Vanish is, quite simply, the perfect way to lose weight. Since Fat Vanish and MuscleNOW include Lifetime Email Personal Training direct from me (the author), there is no risk of failure. You have everything necessary to become my next testimonial success story, transforming low self esteem and a disappointing, overweight body into endless confidence with an amazing look! I've experienced this, and words cannot express how satisfying it is. Now, it's your turn. You are fully protected by my 100% Satisfaction-Guarantee, for a full 90 days. If you don't burn more fat than you ever dreamed possible, or are not satisfied for any reason whatsoever, simply return the program and I will gladly issue you a 100% refund, no questions asked. 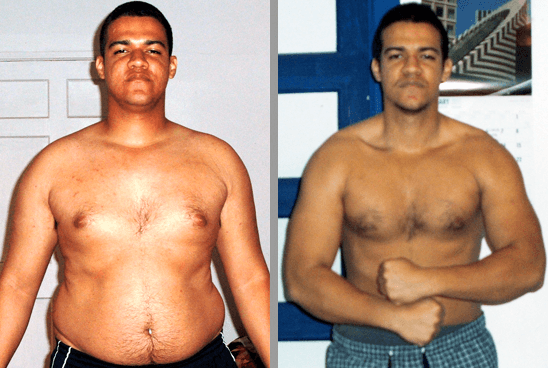 "Since 1997, I have helped over 27,000 men & women around the world to transform their body with Fat Vanish & MuscleNOW. My 90 day money back guarantee is your risk-free chance to finally build the body of your dreams." I do not know how much longer I will be able to provide the Fat Vanish & MuscleNOW program with so many benefits at the current asking price, as this will depend on the number of Lifetime Email Personal Training questions I am receiving per day. The price of Fat Vanish & MuscleNOW have steadily increased since 1997, so if you are prepared to burn more fat than you ever dreamed possible, then order today to lock in the current low price. Yes, as of today, you receive everything that Fat Vanish & MuscleNOW have to offer, including the 90 day guarantee and Lifetime Email Personal Training, for a one-time payment. Unlike so many other programs and body improvement products, I do not charge any annoying recurring fees, which can amount to a small fortune, as my goal is to make my proven Fat Vanish & MuscleNOW program affordable for everyone. In addition, if you stop using all supplements as I recommend, then you will save money instead of wasting it. 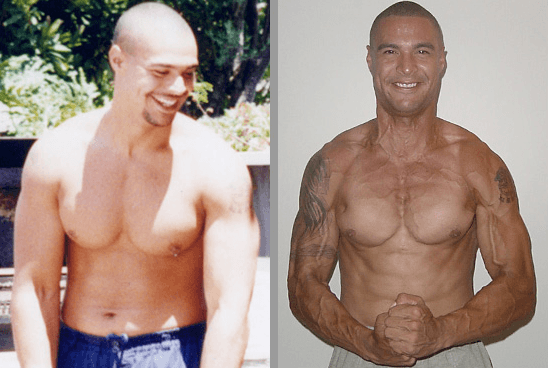 In 1997, when I launched Fat Vanish & MuscleNOW, I was on the verge of graduating college with a business degree, and thankfully the program I wrote quickly became so helpful to men and women around the world that I was able to immediately transition to teaching about fat burning and muscle building as my full time career. Therefore, I am currently able to provide Lifetime Email Personal Training with unlimited questions to all who order, so you can email me as often as you wish, with as many question as you want, and you will receive this privilege for life. But, when I reach the maximum number of customer questions I can handle in a 24 hour period, to maintain my timely service, I will eliminate Lifetime Email Personal Training for anybody who orders in the future. So, by ordering today, I will become your unlimited email personal trainer, for life, leading you to all of your fat burning and muscle building goals, naturally. I designed Fat Vanish & MuscleNOW to be extremely flexible, with many different workouts to fit a variety of schedules. But, to burn fat, you can spend as little as zero time exercising, because my Fat Vanish diet alone is going to force your body to use stored fat for energy. By performing 3-5 days of low intensity exercise per week for 30 mins each session, you will increase the speed of weight loss, but if you wish to exercise less or even not at all, there is no need to worry, because you will focus on my Fat Vanish diet for weight loss without exercise. Stop searching for a workout that fits your lifestyle, as there is no excuse for not losing weight when you follow my Fat Vanish diet plan. I literally guarantee it! Is the Fat Vanish program easy to follow? Yes! One of my passions is writing, and in school, I could not possibly hate anything more than a poorly produced textbook with difficult to understand, cryptic terms. So, when writing Fat Vanish, my goal was to make the program perfectly understandable for anybody, regardless of any prior fitness knowledge. But, if any questions do arise, I will be here as your Lifetime Personal Trainer, so simply email me at any time to seek my personal assistance. This is by far the most powerful aspect of the program, as I will always be here to help! 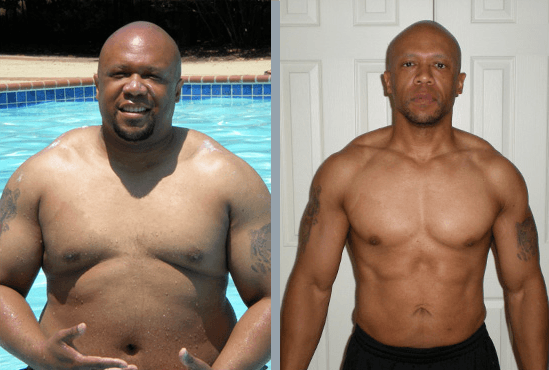 The 90 day, unconditional money back guarantee begins the day after you receive the Fat Vanish & MuscleNOW package in the mail, so you have a full 90 days to see how amazingly effective my program truly is at burning fat. In fact, I actually offer an unadvertised (until now) extra 30 day grace period (totaling 120 days) for you to send back the program and receive a full refund, as I do not want to penalize anyone who for whatever reason is not satisfied. I can provide such a powerful guarantee because I know the program works, and am positive you will be thrilled with the amazing weight loss results you achieve, from the very first week you begin to follow my recommendations! But, if for whatever reason you're not completely happy, the guarantee protects your investment fully, as I will refund every penny of what you pay, no questions asked. Please click here to see everything that is included with the Fat Vanish Lifetime Platinum Plan. The Silver and Gold plans include less features, as shown here. Instantly! I have numerous Fat Vanish testimonials that show amazingly fast weight loss, within the first two weeks, but more importantly, many have completely transformed their entire body in 90 days or less, which happens to be the length of my money back guarantee period. One client lost 50 lbs in just over 2 months! This means that you will know for certain within my 90 day trial period that my program is the most powerful weight loss and fat burning tool you will ever encounter. Does the program diet require any special foods? No! Everything I recommend as part of my Fat Vanish or MuscleNOW diet is available at your local supermarket, and unlike many other fad meal plans sold today, the diet is flexible enough that you will love what you're eating! How can you expect to embrace a new diet lifestyle unless you can do so in an enjoyable way? A bland, tasteless diet with hard to pronounce foods is your first step to failure, as there is no way such a plan is realistic to follow long term. Eating strategies that eliminate certain types of foods are boring and possibly dangerous to follow. Plus, remember, as your Lifetime Personal Trainer, I will be here to help design a specific meal plan for you to follow. No more diet confusion! Why don't you offer Fat Vanish & MuscleNOW separately? 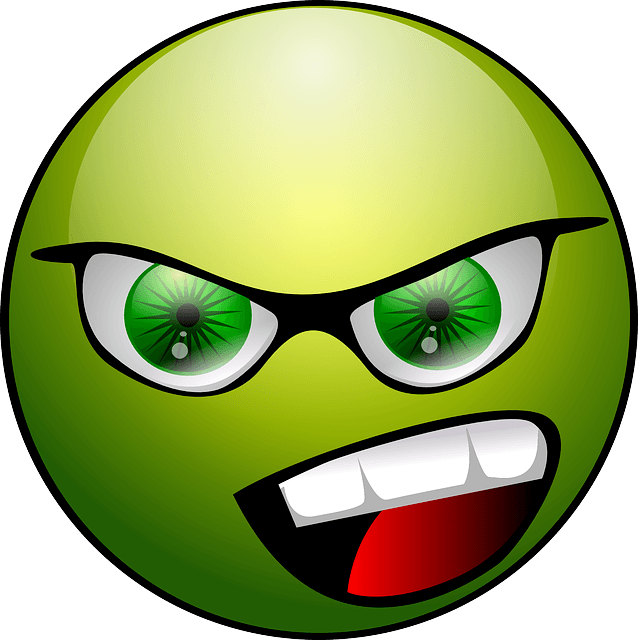 Is Fat Vanish & MuscleNOW a book, video, or both? The Fat Vanish natural weight loss program is a 432 page book, teaching both the Fat Vanish & MuscleNOW diet and exercise recommendations for an amazing body transformation. 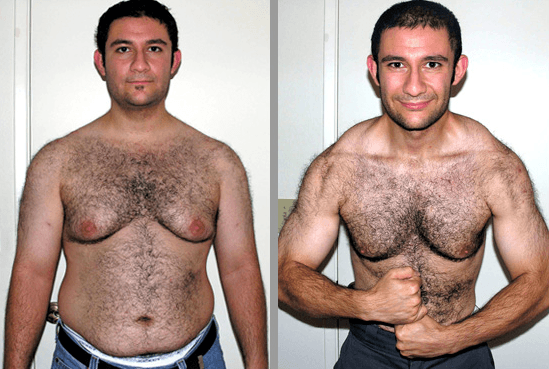 The MuscleNOW video, recently released and included with the Fat Vanish Lifetime Platinum Plan, is a companion to the MuscleNOW natural bodybuilding program, visually demonstrating all exercises, taking you through an entire MuscleNOW workout, and showing the advanced techniques that are necessary for even greater muscle growth. This video is not a replacement for the MuscleNOW program, as it does not cover diet or other important concepts that the MuscleNOW book itself teaches, but it will help those who are visually learners to understand the workout concepts quickly, and provides a motivational tool for added workout intensity. If you are only interested in losing weight and do not wish to build muscle, then simply read the Fat Vanish book that you will receive in the mail, and then email me with any questions, as you will be armed with all of the knowledge necessary to burn fat on a weekly basis! How do I start transforming my body with Fat Vanish? Simple; choose which of the Fat Vanish program options you would like to purchase (Silver, Gold or Lifetime Platinum, click here for details). Once you receive the Fat Vanish natural weight loss program in the mail, read the book in its entirety, as it teaches you exactly what I recommend you eat and how to exercise for amazing weight loss and fat burning results (remember that exercise is not required to burn fat with my Fat Vanish plan). Then, if you selected the Gold or Lifetime Platinum Plan, you may begin emailing me with all of your questions, and I will help you every step of the way. If you purchased the Lifetime Platinum Plan and are interested in building muscle, then I recommend you watch the MuscleNOW video, which will demonstrate all of my workout recommendations in easy to follow fashion. You'll then be ready for the most amazing body transformation of your entire life, armed with the knowledge to do what no supplement can! Lastly, please make sure to take photos of yourself before you begin the Fat Vanish weight loss program, as you can then send me a testimonial once you achieve the body of your dreams, as so many others have done. By doing so, you will then become an inspiration to those who find themselves where you are today, searching for answers. The good news is, your search is finally over! Popular fad diet plans are not only unrealistic and often don't burn fat, but more importantly, they can have an adverse impact on health, and are filled with disclaimers due to the serious risks. My goal when losing weight was not to gain it back, because yo-yo dieting is not only a waste of time, but demoralizing; I didn't want to find myself with excess body fat again. It's frustrating, kills self confidence, and a part of my life I wanted behind me forever. So, I had to put together a plan that would become a permanent part of my life, which meant it has to be not only effective, but also healthy and enjoyable. That is exactly what I produced with Fat Vanish, and is why the program is changing the lives and bodies of so many around the world. 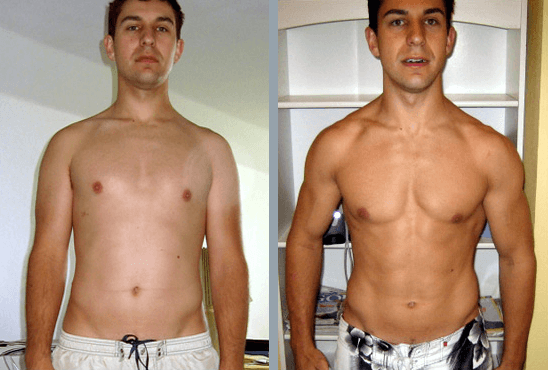 The Fat Vanish & MuscleNOW Success Stories Never End, Because This Program Really Works. I am a 27 year old male and have been FAT since I can remember. In the past I had tried the latest high protein diet with not much success, I also tried the protein drinks, and the good old starvation diet. Still I only lost a pound here and gained two or three there! So I surfed the internet and found the Fat Vanish site. I had to have read the site on five or six different occasions and I finally decided I would try it. I must admit I was very skeptical, but I agreed the money back guarantee could not be beat. So I received the program and I began implementing the information from the program around two months ago. At that time I weighed 230 lbs. By following the system and implementing all of the information I received, the weight literally started vanishing! Here I sit typing this and its been a little over 2 months and I now weigh 180 pounds that's a 50 pound loss and I feel great!! I had to go clothes shopping and everything, My mother told me she hasn't seen me this thin since I was six! And everyone else I run into can't believe it either, I am always getting compliments and everyone wants to know how I did it and I tell them all about the program and where to get it! I have been told I look younger, completely different etc. So to make a very long story short, the program is great, Francesco is a huge help with any questions and the first step is to order it and find out for yourself, if you follow the program you will lose that unwanted weight and you will feel better. 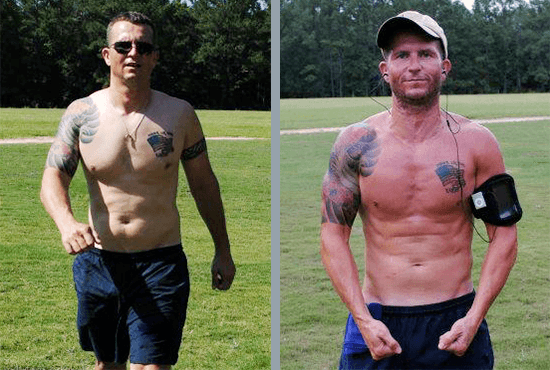 BURNS 58 LBS & 12.5” OF BELLY FAT IN 4 MONTHS! I just want to thank you; I am a Doctor of Chiropractic and found myself grossly overweight. Now as a doctor, I have some training in physiology and nutrition. However, I had very little experience in practical application of that knowledge. After reading the information on your website and pondering for several days, I realized that what you had fit very well with my concepts and philosophy as a Chiropractor. I quickly ordered your program, and waited patiently for it too arrive. ​After receiving your program, I sat down and read it immediately. I was very impressed with the depth on knowledge and with the ease of understanding. Once finished I began to apply the information for the fat loss phase, which I am currently working on. The results have been amazing. I had a 46 inch waist, 35% body fat, and weighed 250 lbs at a height of 5'11 1/2". After following your fat loss program for a little under 4 months, I have lost a total of 58 lbs (current weight of 192 pounds), 12.5 inches from the waist (now 33.5 inches), and 19.5% from my body fat (currently 15.5%). 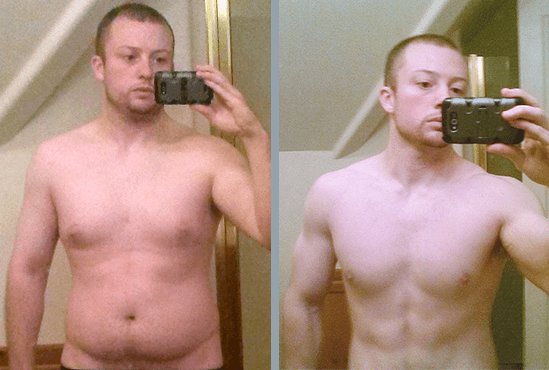 BURNS 117 LBS & 18” OF BELLY FAT IN 7 MONTHS! I'm 54 years old so it ain't easy, but I'm motivated! Thank you for all you've done for me so far, I'm so pleased with the results. I've lost 117 pounds in 7 months now, I've lost at least 18" off my waist, I'm back to sleeping in a bed (before your program, I was sleeping in a recliner because my lower back won't let me lay in a bed). I just got home from the gym and I caught myself running up and down the stairs. Took a picture this weekend thought you'd like. Now you can see the improvements I've been telling you about. As you can see from the picture, I'm half the man I used to be, thank you Francesco. Thank you so much Francesco, I feel like a new man and a new man that's getting younger and stronger by the day. What a great program you have made, as I'm seeing the results quicker than I would have ever thought possible for someone 54 years old. I feel twenty years younger than that. REDUCES BODY FAT BY 60%! BURNS 4.5" OF BELLY FAT & DEVELOPS RIPPED ABS! I started out at 90 kgs, and have been 12 weeks on the fat loss portion of your program. My pics show a dramatic transformation. I must admit that due to fact that I had loads of fat on my body (and bad genetics, everyone in my family is really fat), I gave the fat loss phase 12 weeks, and I have now lost all the fat I wanted. I am sure impressed by the fact that my waist (on the navel) has gone from 36 to 31.5 (I have a wide hip bone and can’t go any smaller, but there is hardly any fat). I have become quite defined and my abs are beginning to show. ​I guess my body fat at 20% when I started, and now at 7%. I am still half in amazement that someone like me could show abs. BURNS 6” OF BELLY FAT & DEVELOPS RIPPED ABS! There are hundreds of additional success stories on the testimonial page, but you get the point. Fat Vanish WORKS! 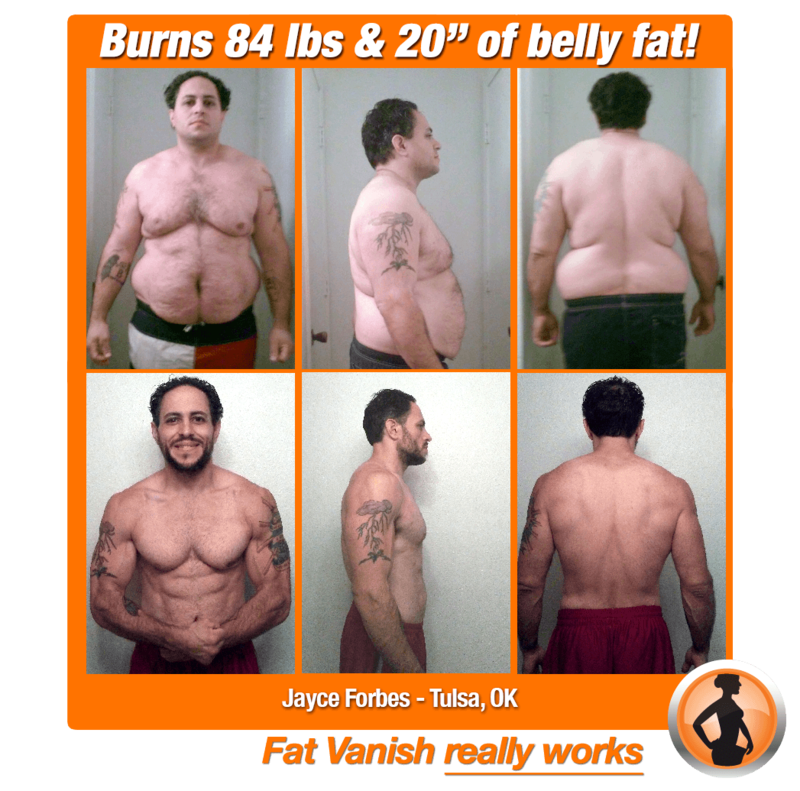 Fat Vanish teaches you exactly how to eat and exercise for amazing fat loss. No matter if you need to burn a little or a lot, Fat Vanish is the answer. The most powerful part of this package! Send as many questions as you wish to Francesco (the author) and he will guide you every step of the way to your weight loss & fat burning goals! Receive motivation, inspiration and fellowship as you communicate with others who follow the Fat Vanish & MuscleNOW plan. Share your success and goals with those who care! Your risk-free promise that everything you see here at FatVanish.com is 100% true. Try my program for a full 90 days, and if fat does not melt off your body fast, I will refund all of your money. Measure fat burning or muscle building results as you follow my proven methods. 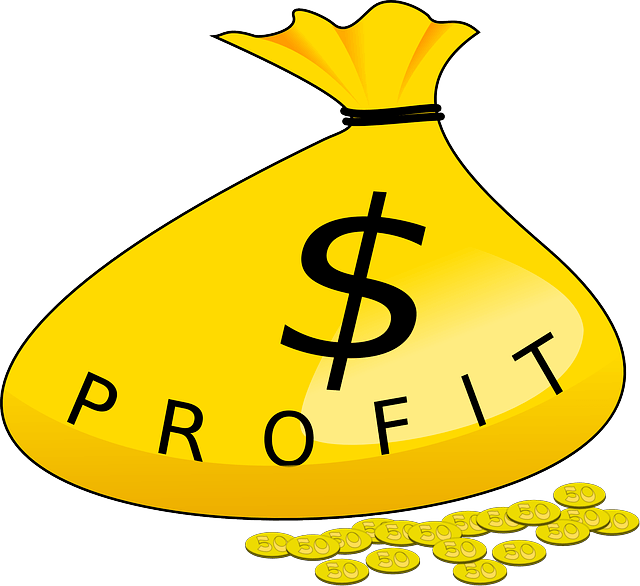 You will know exactly how well you are progressing with this valuable tracking tool. If I ever make any changes or additions to any aspect of the program in the future, you will be entitled to receive these modifications for free. This is a lifetime privilege that provides you with assurance that you will have the latest and greatest weight loss and muscle building info, for life! Just add one of the above plans to your cart, and begin burning fat like never before. P.S. : I can only continue including Lifetime Email Personal Training to new customers for a limited time, and may be increasing the price of my program soon, so it is important you sign up now if you want to lock in all of the unique lifetime Fat Vanish & MuscleNOW benefits I am offering for today's low price. 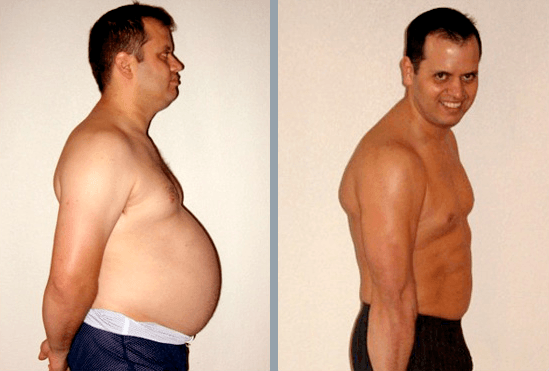 With my 90 day unconditional money back guarantee, you have nothing to lose, except a fat and pudgy mid-section.